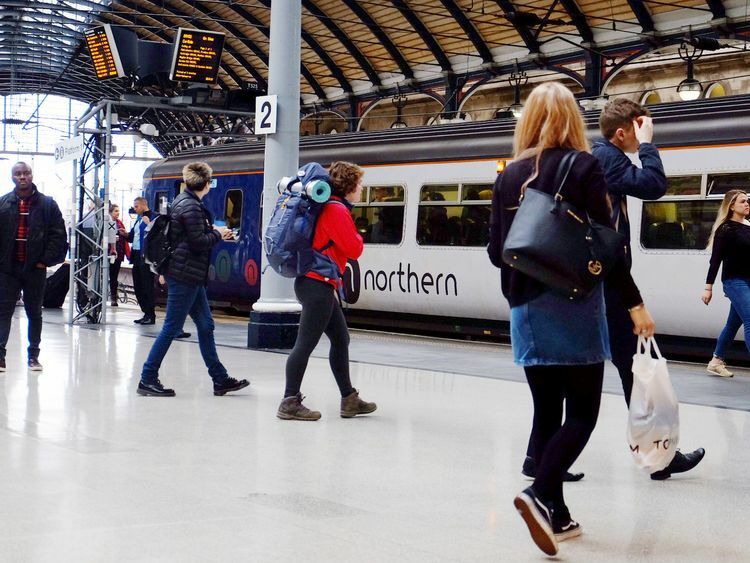 Theresa May has been urged to intervene over rail chaos across the north of England as 25 regional newspapers banded together to call on the prime minister to "get a grip". The titles devoted their front pages on Tuesday to a united call for action over the crisis of delays and cancellations, which follows the introduction of new timetables. Transport Secretary Chris Grayling, who is facing calls to resign over the crippling disruption, has been handed a "vote of no confidence" by the publications.Those joining the campaign, which is also trending on Twitter with the hashtag #OneNorth, include the Yorkshire Post, Manchester Evening News, Liverpool Echo, Lancashire Telegraph and Newcastle Journal.They are calling on Mrs May to arrange an emergency summit in Downing Street this week to deal with the crisis, hand full oversight powers to Transport for the North, launch a full review of rail franchising, and prioritise plans for a cross-Pennines high-speed line ahead of those for Crossrail 2 in London. The newspapers state: "It is clear our railways cannot be cared for properly from London. "Despite the pressure being heaped upon him, Mr Grayling defended his handling of "totally unacceptable" train delays and cancellations on Monday.He announced that commuters would be compensated and an inquiry will be launched into what went wrong, while blaming the rail industry.Thousands of Govia Thameslink Railway (GTR) and Northern train services have been affected after temporary timetables were introduced in mid-May to last until the end of July to "stabilise" services to eventually reduce late-minute cancellations.Mr Grayling told MPs on Wednesday that GTR had assured him three weeks before the timetables started that they were "ready to implement the changes". But Labour said he was responsible for the mess and several opposition MPs called for him to resign. "Clearly this was wrong and it is totally unacceptable," Mr Grayling told the House of Commons. "The rail industry has collectively failed to deliver for the passengers it serves. "It's right that the industry has apologised for the situation that we are currently in and that we learn the lessons for the future. "But right now the focus should be on restoring reliability of their service to passengers. 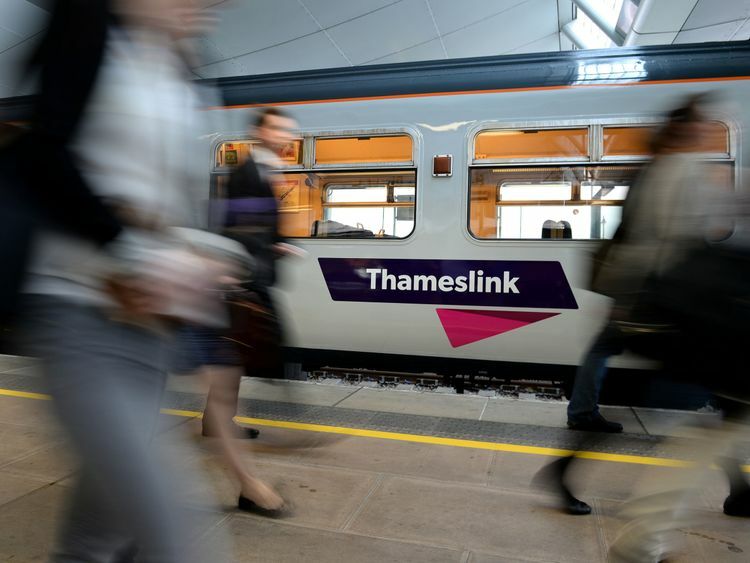 ":: Train operator "sorry" as UK shake-up faltersAs well as Thameslink, GTR runs Great Northern, Southern and Gatwick Express services. Mr Grayling said sacking the franchise holders would not solve the problem "because I don't have some other group of people down the corridor able to take over".Instead, he said they needed all the necessary support "to deliver solutions for passengers and get that stability as quickly as possible".Transport professor Stephen Glaister will launch an inquiry into the situation and will look at implementing a new timetable, which will be introduced in phases. "I will not hold back from taking appropriate action if the review finds that there's been negligent behaviour," Mr Grayling added.He also announced the rail industry will fund a compensation scheme to offer "appropriate redress".The transport secretary said he feels "for every single passenger" affected and is "as fed up with this as everybody else".However, he said the outcome of the changes will be worth it as it is "a massive investment programme in railways". Tory MP Sir Nicholas Soames told Mr Grayling the rail industry readiness board should be "taken quietly outside and disposed of", before criticising services in Mid Sussex.He said people's private lives are being "destroyed", adding: "This whole thing is an absolute disaster and must be put right. "Shadow transport secretary Andy McDonald said if Theresa May were "not so enfeebled" she would have sacked Mr Grayling for putting passengers "jobs at risk" and having "played havoc with their family life". "Isn't the reality that this Secretary of State has been asleep at the wheel and this is just the latest episode in a series of rail management failures on his watch?" he said.Chuka Umunna, whose StreathAm constituency had more than 160 Thameslink cancellations last week, said Mr Grayling "should do the decent thing for once, and resign".Labour's Rachel Reeves called the situation a "complete shambles" and said passengers have "lost faith" in Mr Grayling. 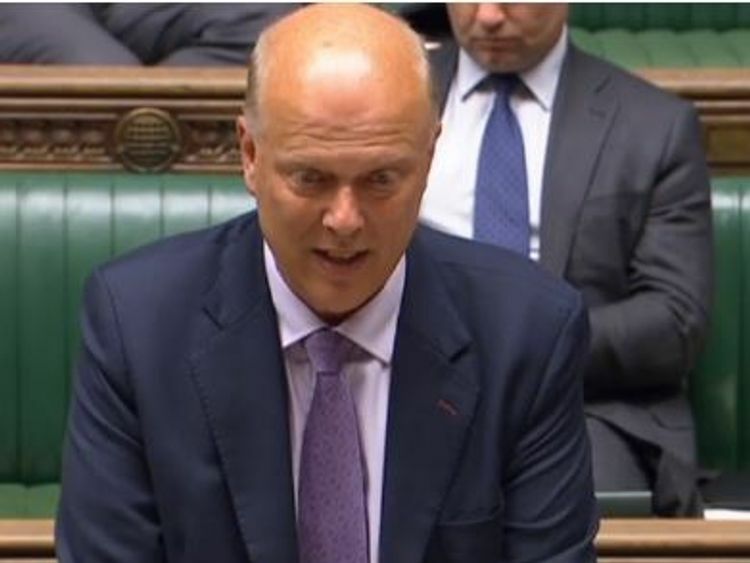 "He must now step aside and allow someone else to fix this mess," she said.In the Lords, Mr Grayling was defended by transport minister Baroness Sugg, who said ministers had been assured successful implementation of the new timetable could take place on 20 May.